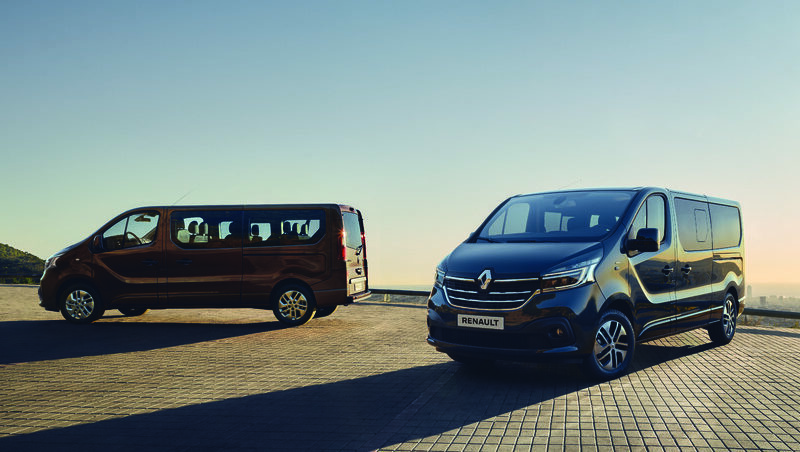 It’s all systems go this weekend in Paris! 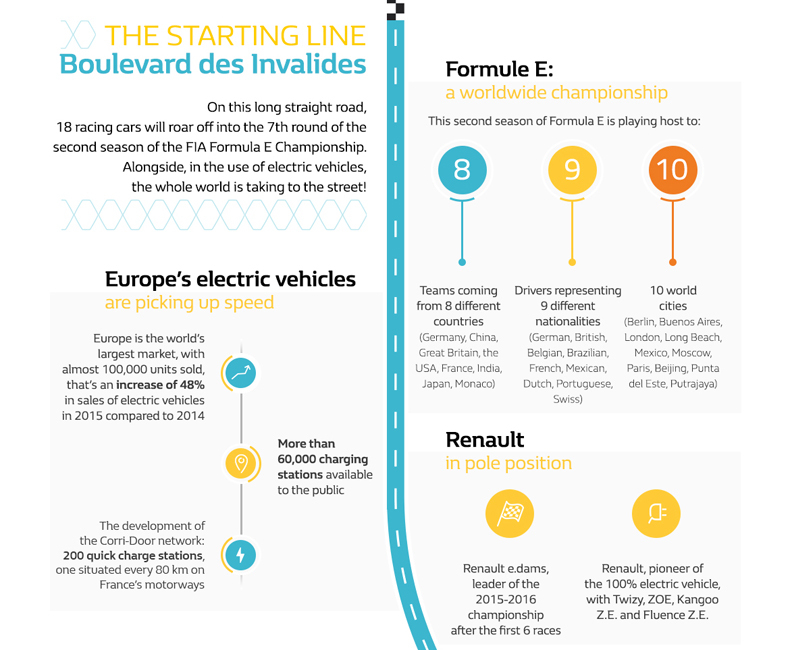 The nine teams with their eighteen drivers are readying up for the seventh leg in the 2015/2016 Formula E championship, to be run on a street circuit in the Les Invalides district of the French capital. 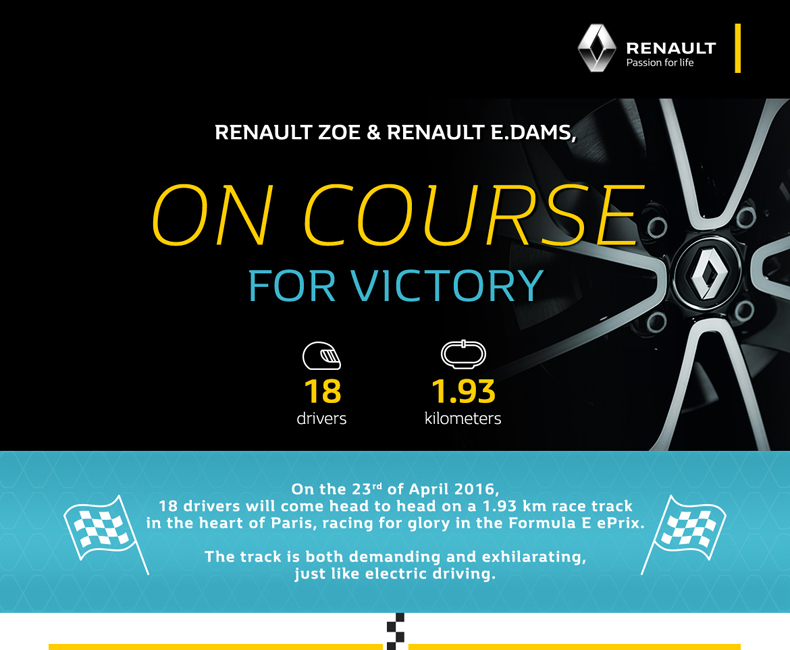 Naturally enough, Renault e.dams is aiming for first place. Street-circuit races are the most interesting because there’s just no room for error. On a regular racetrack you can just step on the accelerator. If the worst comes to the worst, well you’re just off the track, whereas here you’ll hit a wall. So it’s a rather more demanding situation. 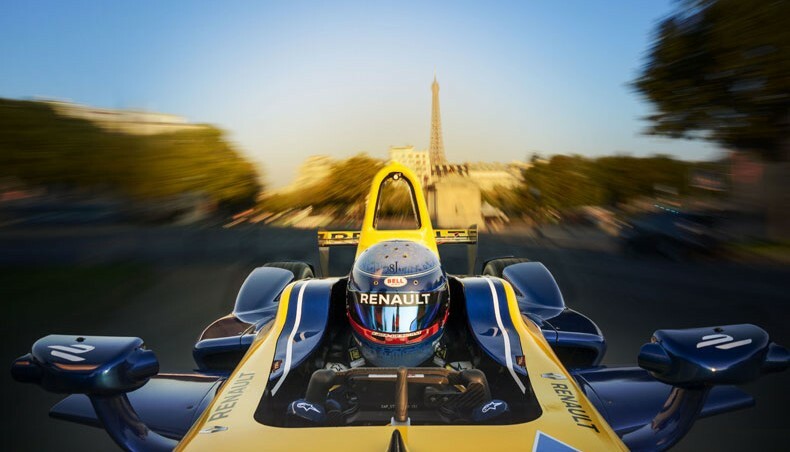 The Visa Paris ePrix is the seventh meeting of the season, and the Renault e.dams team drivers are steeling themselves for the tough challenge ahead: they’re out to win. 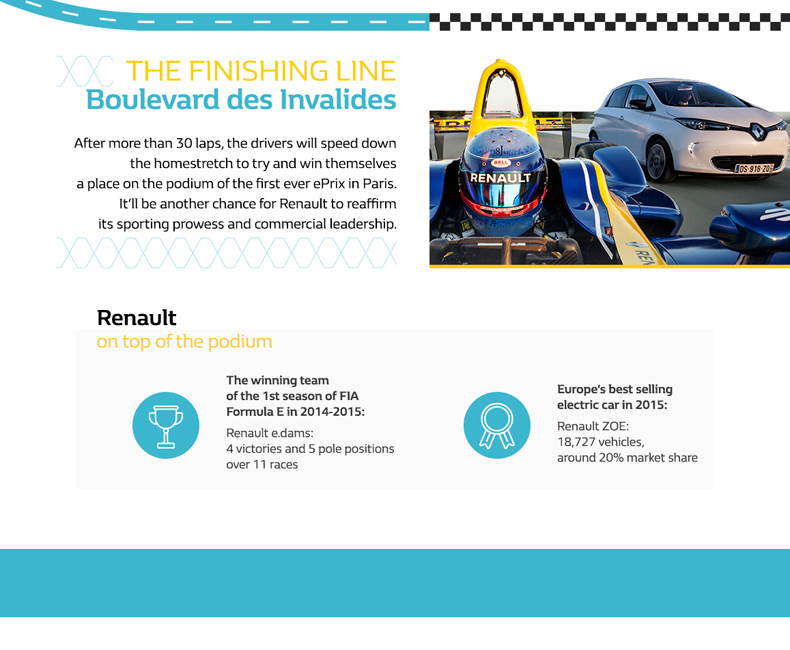 From the starting line on Boulevard des Invalides, the 100% electric single-seaters will be running 43 laps on a 1,93 km circuit that passes by historic monuments such as the Hôtel des Invalides, the Armed Forces Museum, and Napoléon’s tomb, and includes 14 turns in all. 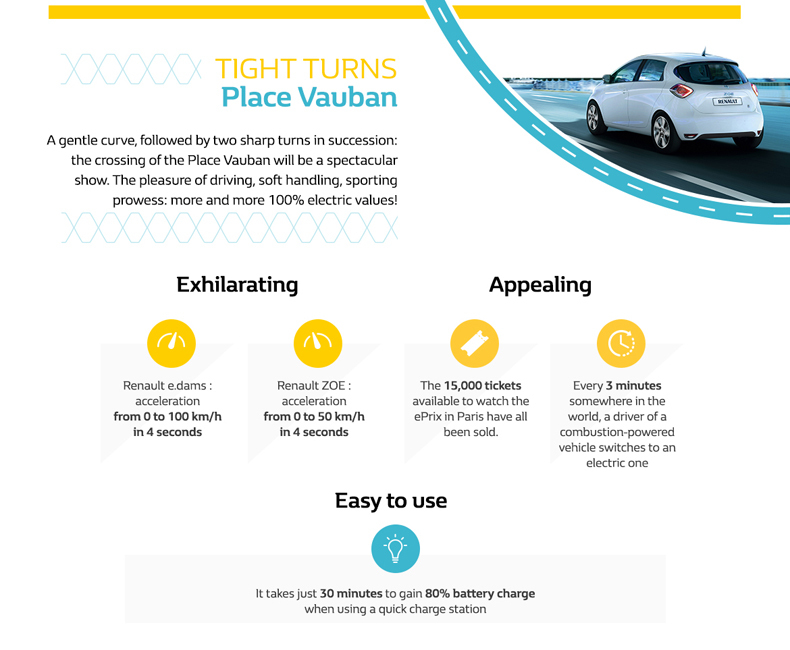 It’s a fast and highly technical circuit, with critical segments such at the turns at Place Vauban and Rue de Grenelle, the tricky U-bend at Place Denys Cochin, and the spectacular straight along Boulevard des Invalides. 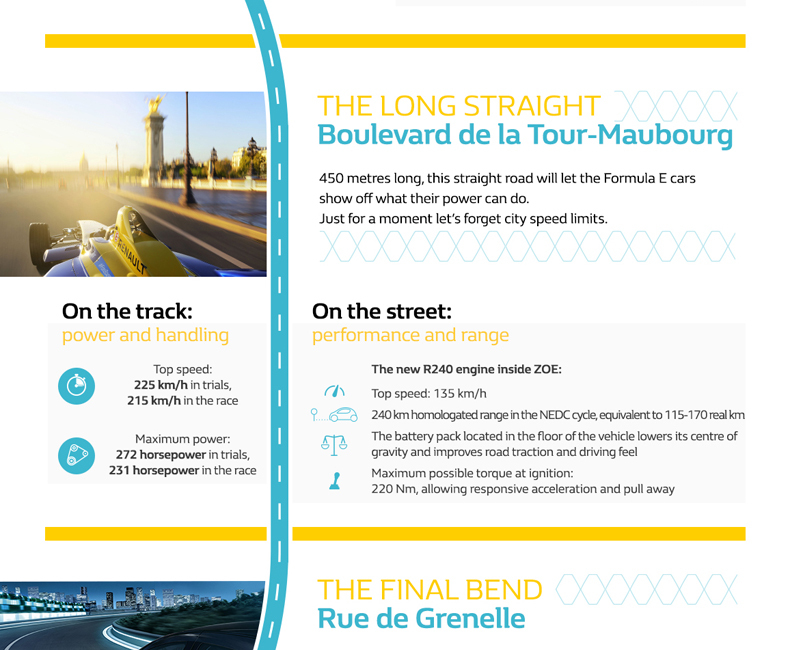 The historic setting of the Paris ePrix is truly exceptional; the spectators are in for very fine show indeed. Unsurprisingly enough, the 15,000 tickets have sold out. 9 teams, 18 drivers, close to 2 km of circuit and 15,000 spectators for the race weekend. This kind of event raises a number of very major organizational challenges, arising primarily from the urban setting and the short timeframe involved (ten days to set up the whole circuit). 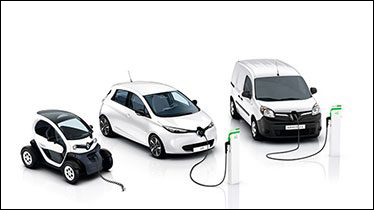 But the FIA and the various organizations involved are hardly newcomers to the considerable structural, technological and environmental issues entailed. 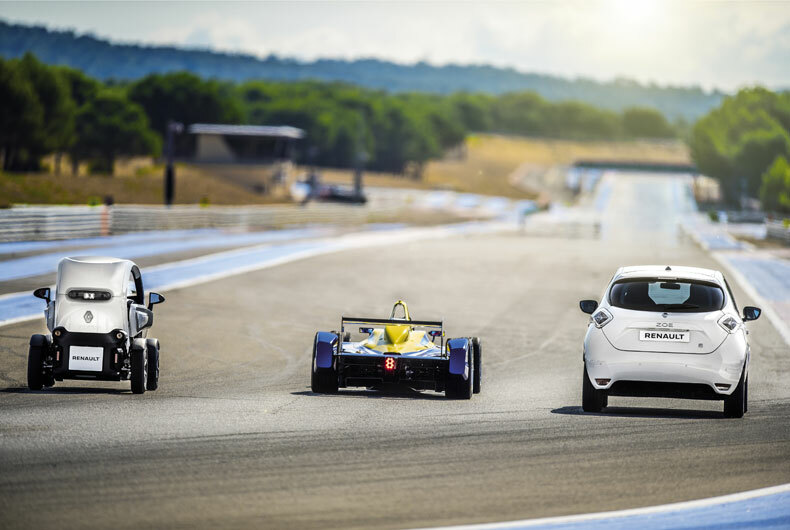 Over the last two years, successive models of the Spark-Renault SRT 01-E racer have achieved mind-boggling performance (top speed 225 km/h, acceleration from standstill to 100 km in 4 seconds, etc. 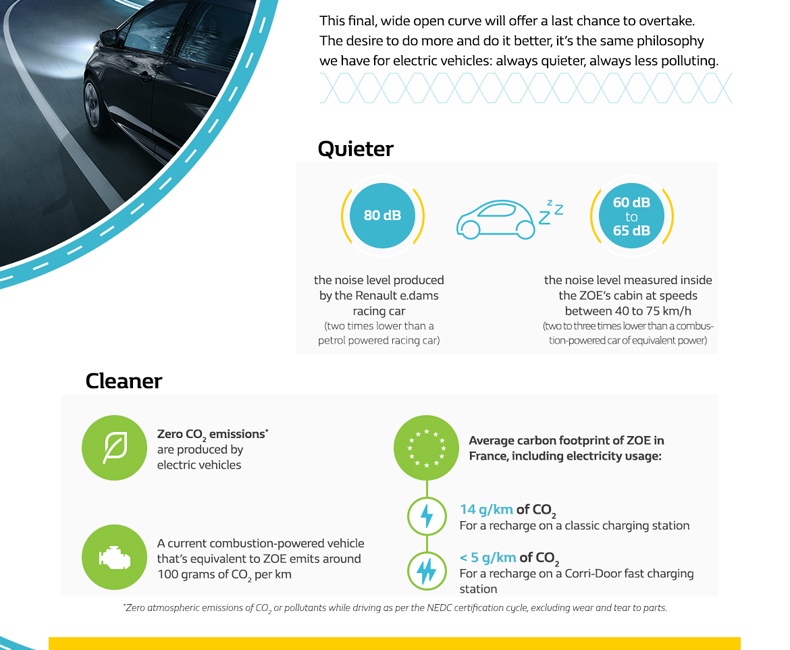 ), with zero CO2 emissions and a noise level of 80 dB, half that of a petrol-engined racer. That doesn’t, however, mean that the motor sport fans in Paris this weekend will be missing out on anything sound-wise. 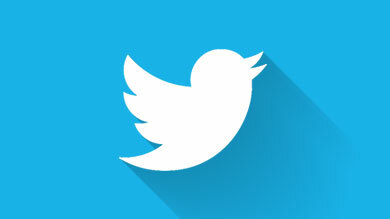 (After all, what would a motor race be with the sound turned off?) On the contrary, the soundtrack of a Formula E race, with the electric hiss of the motors and the screech of the tyres of the asphalt, is highly futuristic and fully in keeping with the city-centre location. 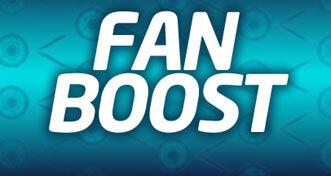 With the Fanboost system, fans have their part to play in the race, voting online for their favourite drivers to grant them a valuable power boost during the race. 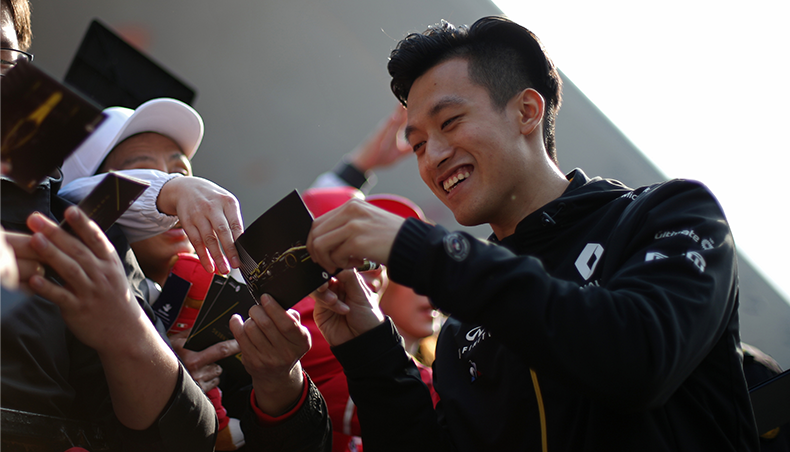 The three drivers with the most online votes get a once-only 40.5 bhp power boost for 5 seconds. So get voting! Click here to vote for Nico Prost. Click here to vote for Sébastien Buemi. The event starts Saturday at 08:15 with two free trials followed by the qualification trials at midday. These culminate in the Super Pole, a stand-off between the five fastest drivers in the qualification session, to determine their position on the starting grid. Festivities run all day long, with features such as the Parisians Trophy, a relay race along the circuit with 60 runners on electric bikes, skateboards and scooters. 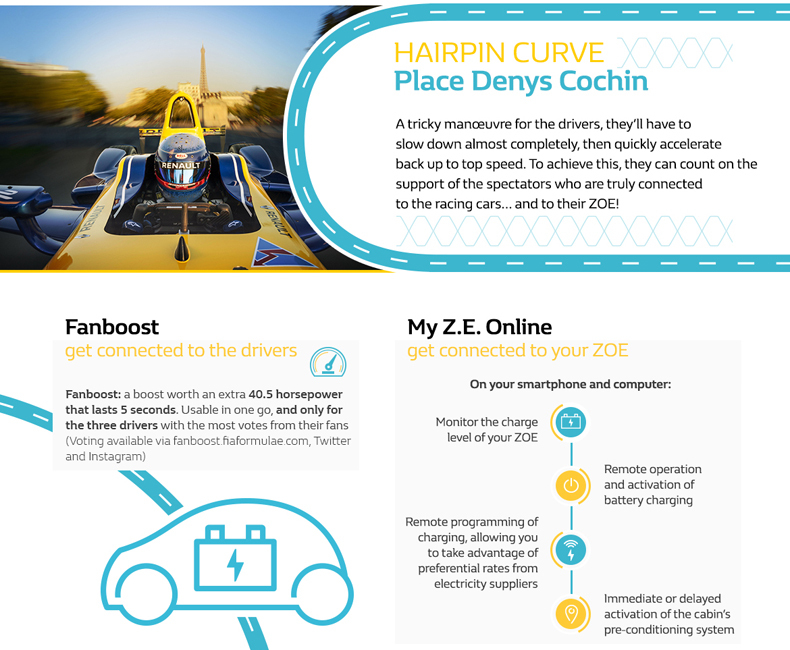 (The winners will even have the privilege of being awarded their prizes on the official ePrix podium.) 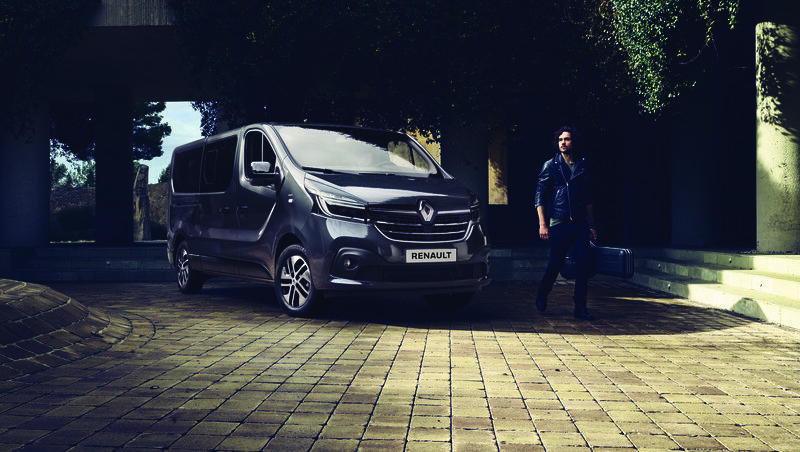 Then there’s the Renault eShow at 13:50 (with Renault ZE models ZOE, Twizy, Kangoo ZE, plus some surprise appearances), followed by an autograph session with the drivers.